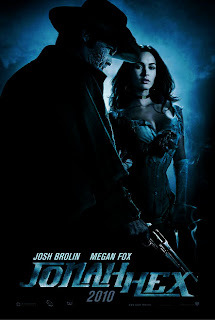 3-D Monster: New Poster For "Jonah Hex"
As a kid and an adult, I was never into the war and western comics that seemed to be so popular in the 70's and 80's; as a matter of fact, I don't think I've ever read a Jonah Hex story, unless it happened to be a crossover with Batman or Superman. But looking at this poster and the cast, it may be worthwhile. Read more about it at SuperheroHype!